I truly believe the world of investing was made confusing on purpose. The more confusing it is, the less we care to learn ourselves. The less we learn and know, the less we have and the more money they make. Doesn’t sound like a great plan for us, right? This is why I wanted to put together this post. In fact, this is the post I wished I would have found when I first thought about investing. And, unless you’re in the business or a financial advisor, I would say that most people today are still at the stage of investing for beginners. Investing for beginners can feel overwhelming at first. We all know we need to, but don’t know how too. Thankfully, it’s easier to invest than you think. Maybe you want to invest for retirement? Or, maybe you’re tired of earning pennies in your bank account? Either way, many of us know we should invest. But most of us only invest as an afterthought. I think the reason is simple: it is human nature to act on what we can see right in front of us. Think about your electric bill. You know if you don’t pay the bill right now, your lights won’t be on much longer. However, this isn’t the same with investing. Since the cost/benefit is not directly in front of us right now, it often is pushed off until next month. And then ten years later. And then…well you get the point. However, we are going to change that right now. In fact, after reading through this post, I am going to challenge you to take action. I am going to challenge you to do one thing today. Just one. The idea is for you to fully understand the basics to investing so you can literally get started today. Therefore, we aren’t going to dive into the overly-confusing topics just yet. This post is designed to give you just enough to be as shrewd as a snake and as innocent as a dove (Matthew 10:16). What the Heck is a Stock? I’m sure many of us wish we would have purchased stocks of Amazon in the late 1990s because of what Amazon is worth today. But how does owning that stock actually earn someone money? In other words, how the heck does owning a stock actually work? To start, a company like Amazon is going to raise money so they can grow their company. Some of the most common methods is taking a loan from the bank, issuing a bond (more on this later), or by offering shares of stock. As a shareholder in the company, you are investing your money into a company as capital without a guaranteed return. This is the risky part. However as a shareholder, there is also no limit on how much you can earn. This is the reward part. The first way to earn returns is through dividends. As a shareholder, you are entitled to a share in the profits based on how many shares you own. The share in these profits are called dividends. The second way is through appreciation. To illustrate this, let’s use Amazon as an example. Back in October 1998 the price for one share of Amazon was $19. Now, if you would have held onto that stock until October 2018, the price would be $1,909 per share. 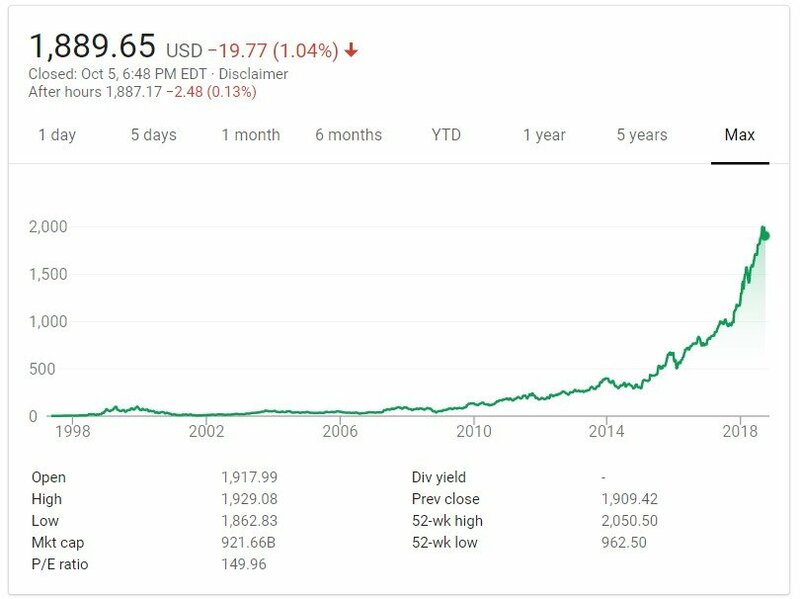 In other words, $1,900 of Amazon stock in 1998 would be worth $190,900 in October 2018 due to appreciation. Contrary to popular belief, owning individual stocks does not actually mean you have ownership in the company. Instead it means you have ownership in the shares of the company. Owning shares in the company allows you to share in the profits of the company but does not allow you to make any day-to-day decisions based on the how the company is operated. For example, if you own stock (shares) of Amazon and they generate a profit, you will receive part of that profit (dividend) based on how many shares you own. You can also sell your shares at any time for a gain (appreciation) or a loss (depreciation). However, you don’t get to call up Jeff Bezos and advise him on how to run his company. The reason is you don’t actually own part of the company but rather you own the shares of the company. Owning single stocks is also one of the riskiest ways to invest in the market, but also has the greatest possibility for reward. As I showed you with Amazon earlier, here’s another example using the company Xerox. 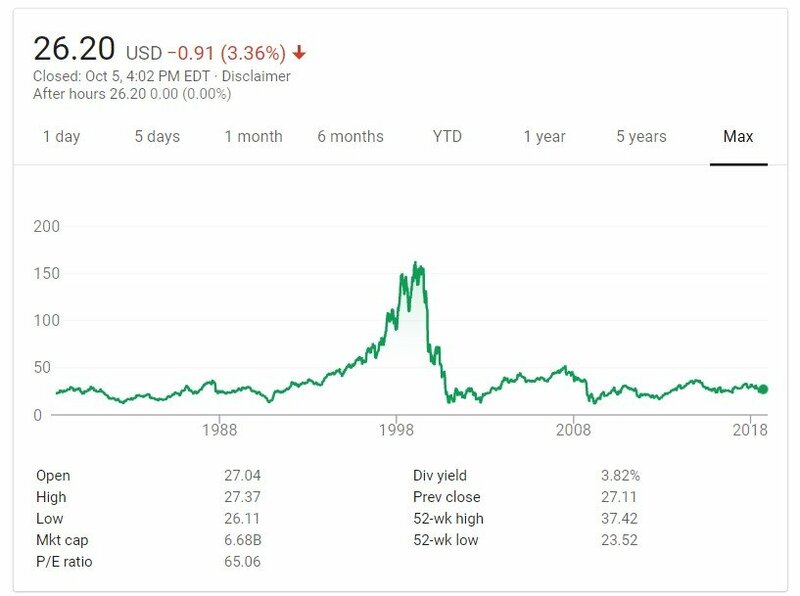 As you can see, the price of Xerox in October 1998 was $127 per share. If you still own that share in October 2018, that share would be worth $27. Therefore, $12,700 of Xerox stock in 1998 would only be worth $2,700 twenty years later due to depreciation. The simplest way to think of bonds is to pretend you are the bank. We all understand when we get a loan from the bank, we are agreeing to pay back the bank plus interest. This is exactly how a bond works. A private company, the government, or a local municipality may need to raise money and they can do so by issuing a bond. This is where you may have heard of a corporate bond, a municipal bond, or a treasury bond. Simply put, the type of entity that issued the bond usually gives away the name of that type of bond. The bond, just like a bank loan, has a predetermined interest rate and timeline for paying back the bond (loan). As the bondholder, you are agreeing to lend money to the bond issuer. The bond issuer then pays you back the amount you loaned plus the interest (AKA the coupon) for the bond. Owning a bond does not give you any ownership of the company. This means if the company does well, you will unfortunately not benefit from their growth. On the flip side, if a company does poorly the bondholders are the first to get paid and shareholders (investors who own stock) are the last to be paid. As you can see, there is often more risk and reward with owning stocks over bonds. However, both are important when investing because together they allow you to diversify risk throughout the changes in the market over time. Historically, bonds have had an annual return of 5% – 7% whereas stocks have had an annual return of 8% – 10%. So far we have talked about owning only one of either a stock or bond. But what if you wanted to own many stocks or bonds at the same time? This is a GREAT way to minimize your risk. One of the better options for investing in multiple companies at once, is via ETFs. This acronym is short for exchange traded funds and these funds have different investing strategies. They can invest in stocks, bonds, or both. To paint the picture, we will use an example of the S&P 500 which is simply a compilation of the largest 500 U.S. companies as a benchmark for the U.S. stock market. When you buy an S&P 500 ETF, you are investing in the 500 largest companies that trade on the U.S. stock exchange. These companies are household names like Apple, Starbucks, Amazon and Southwest Airlines. There are also other ETFs that invest in certain sectors like technology, banks, healthcare, or any other type of market. There are sector ETFs for almost any sector you can invest in. For example, a healthcare ETF would be comprised of companies from the healthcare industry and you would expect to find the big banks inside a financial ETF. Now, although ETFs are groups of stocks, bonds, or a mixture, they still trade like single shares of company stocks. You’re now probably wondering why this matters, right? Here’s why investors LOVE ETFs: They trade in real-time while the market is open and they usually have lower management fees. In the next section, you’re going to see why this matters. Although ETFs are very popular today, mutual funds are much older and have a longer track record. Therefore, if you invest with a 401k, you most-likely are investing in mutual funds. Again, the main difference between ETFs and mutual funds is how they trade. Instead of trading in real-time, mutual funds trade once-a-day after the market closes. Let’s say you decide to sell a mutual fund at 10:00am and the price of the mutual fund is $30 per share. You hit “sell” at 10:00am, but remember the mutual fund doesn’t actually trade until the close of the market that day. And, not only did you want to sell out of that mutual fund, but so did thousands of other investors. Since they all decided to sell, that caused the price to drop to $24 by the close of the market. So, instead of selling your mutual fund for $30, you sold it for $24. The one benefit here is the sell (usually) didn’t charge you a transaction fee. But, since ETFs trade like stocks, you can expect to pay a trade fee every time you buy or sell and ETF. A second difference is the minimum initial investment. To open a mutual fund position, you may need to invest $3,000 upfront. With ETFs, you only need to pay the price for one share. If a share costs $20, you only need $20. The third difference between mutual funds and ETFs are fund expenses. Most mutual funds have higher fund expenses than similar ETFs. Oftentimes, these may be your only investment option in a 401k plan. Index funds are one form of mutual funds. They track a broad market index. This means they try to match the market performance with passive investing. As a result, they have lower fund expenses than active funds. For instance, the largest mutual fund is the Vanguard Total Stock Market Index. If you have a Vanguard account, it’s fund symbol VTSMX. It invests in 3,600 of the largest publicly-traded companies. It’s expense ratio (the cost to own the fund) is 0.15%. And, you must invest $3,000 to open a position. To save you money, many online brokers now offer index ETFs and you invest by the share. VTI is the ETF equivalent of VTSMX. And, it only has an expense ratio of 0.04%. One share trades for about $150. Instead of needing $3,000 to start investing, you would only need $150. You might decide to go with the ETF because of the lower fund expenses. With a 0.04% expense ratio, the fund manager keeps $4 of every $1,000 you invest each year. You pay $15 each year if the fund fee is 0.15%. This doesn’t seem like a lot of money now, but the fees add up. That’s money you can’t invest to earn passive income. Many experts believe ETFs will soon completely phase out mutual funds including a financial advisor with over 32-years experience interviewed on the Money Peach podcast. Money Tip: If you have a 401k, a great tool to see what fees you are paying is Blooom. This app will scrape through your 401k, 403b, 457, and 401a to show you how much you’re paying and how that compares to the average fee structure. Another mutual fund option is target retirement date funds. If you want to retire in 2050, you choose a 2050 fund. You can think of these as “set it and forget it” investments. But, you should still make sure their investment goal matches your goals. And, that the actual performance meets your expectations. 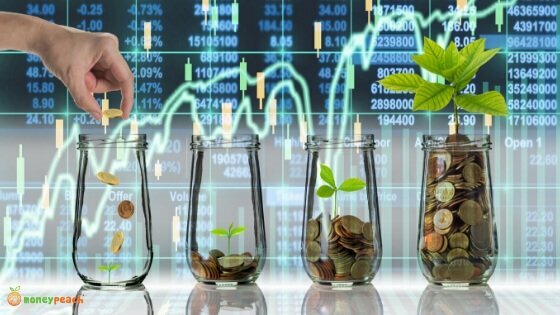 These funds invest in a basket of stocks and bonds. They also hold index funds to keep fund expenses low. As you near retirement, the fund swaps stocks for bonds. These funds are a low-maintenance way to invest. However, more effort goes into managing these funds than an index fund, therefore you can expect to pay a higher expense ratio for them. This can be a little tricky to wrap your mind around it so I’ll do my best to explain it. Let’s say you purchase a bond fund for $10. The the interest rate (the yield) on that bond fund is 4%. Next week, you find out the fund’s interest rate drops from 4% to 3$%. But remember, you own a bond that has a yield of 4%. Anyone else who buys the bond will only get 3%. Therefore, your bond is now more desirable which means the price of that bond went up. Similar to how a stock goes up in value, same holds true for a bond. The easiest way to remember how bonds work is this: As interest rates go up, bond prices go down. As interest rates go down, bond prices go up. Earlier we mentioned dividends, which were profits of the company distributed back to the shareholders. Many dividends are distributed at least once a year, but they can be paid out monthly, quarterly, etc. Interestingly enough, most index funds pay them in December. Albert Einstein said “Compound interest is the eighth wonder of the world” and he was spot on. In a nutshell, compound interest is literally where your money makes money for you. Let’s paint the picture in this example. We will assume you invest $1,000 into a healthcare ETF and it earns 10% in the first year. At the end of the year, the value of your ETF would be $1,100 ($1,000 you invested + $100 earned interest). Now, instead of taking that 10% as profit, you keep all $1,100 inside the same ETF and in year 2 it earns another 10%. The new value would be $1,210 ($1,100 + $110 earned interest). As you can see, your money is working for you by earning interest on the original amount AND the interest earned from the year before. As this plays out year-after-year, the amount begins to compound….hence why it is called compound interest. One amazing way to further increase compound interest in your favor is by reinvesting your dividends. Instead of cashing your dividend check, it’s much wiser to choose to have your dividends (your share in profits) reinvested. Now you’re starting to see the power of building wealth! There are so many different options for investing and it can be overwhelming. For starters, your 401k (similar to a 403b, 457, 401a) is a very popular option if you have job that offers one. Then there are those who are self-employed or those who don’t have a 401k plan at their work. Never fear, there are still plenty of ways to invest and start building wealth – even as a beginner. The most well-known place to invest is inside your 401k plan. The main reason why is for matching 401k contributions from your employer. If your employer offers a match, maximize it! 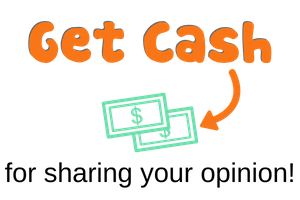 This is free money, and you don’t have to work overtime to earn it! Let’s say your employer matches 50 cents of the dollar for the first 6% of your salary. If you make $50,000, that’s up to $1,500 of free money each year! After you meet the match, you might decide to invest more. When you have a good 401k plan, it’s worth investing more money. But, not all 401k plans are the same and some have some terribly high fees and very lousy investment choices. A great tool I personally use to check for 401k (457,403b, 401a) fees is Blooom. It’s a free checkup tool to show you how you how your fees may be affecting your nest egg. Blooom also can help you optimize your 401k with your current investment options for only $10 per month as compared to the 1% management fee many advisors will charge. To break this down, 1% on a retirement fund of $50,000 is $500 per year. You can do the same thing using Blooom for only $120 per year. Another reason to invest in your 401k is the tax benefits. You must pay taxes every year on your non-retirement account investments. However, that’s not the case with your 401k account. With a pre-tax 401k, you will reduce your taxable income. For example, if you earn $50,000 per year but you invest $10,000 into your 401k, you will only have to pay income tax on $40,000. In addition to bypassing income tax, your earnings grow tax-deferred; meaning you don’t pay taxes on the growth. The only time you pay taxes is when you make a withdrawal after age 59 ½ . Are There 401k Tax Disadvantages? Her belief is that taxes will someday return to the same levels (higher) as they were when the 401k was created. The reason they will increase is because something is going to have to offset social security and the $21 trillion debt. Therefore, her debate is whether or not the 401k is a good plan right now. If taxes do increase, then we would actually be avoiding the lower taxes now to pay higher taxes later. Contrary to 401k plans, a ROTH 401k moves the taxes from the back end to the front end. Instead of paying taxes when you withdraw the money, you pay taxes today and then invest into the ROTH 401k. Just like the 401k, your growth is also tax-deferred. Then, when it comes time to withdraw your investment after age 59 ½ , your money will NOT be taxed again. These same tax benefits apply to Individual Retirement Accounts (IRAs). You fund Traditional IRAs with pre-tax income. And, Roth IRAs receive your post-tax income. On a side note, I am a HUGE fan of ROTH 401k plans. If you’re not sure if you’re employer has one, please call your HR department today and find out. If you don’t have a 401k plan as an option, please do not worry. There are so many very simple platforms which are perfect for someone getting started or even a seasoned pro. One of the most well-known and trusted investing platforms is Betterment. For simplicity, it’s doesn’t get much easier than Betterment. In my opinion, Betterment hits the nail on the head when it comes to simplifying the investment process. They only use stock and bond ETFs and they help you choose your investments based on what your goals are. Whether it’s retirement, a wedding, a vacation, or whatever you want, Betterment will identify a plan based on your needs and wants. Also, Betterment is flat out affordable. Whereas a financial advisor will usually charge between 0.75% – 1.5%, Betterment is 0.25%. If you’re not a numbers person, you can think of this way: Betterment is up to 6x less expensive than a traditional financial advisor. And you can start with literally $1. Below are three additional reasons why you might invest with Betterment. Betterment uses tax loss harvesting to reduce your annual tax bill. When Betterment rebalances your portfolio, they will sell some assets for a loss. Doing so can reduce your taxable income up to $3,000 per year. You might keep your IRA and taxable accounts at Betterment. Doing so can minimize your tax bill too. Betterment will put ETFs that earn more taxable income in your IRA. This strategy helps you pay less in taxes too. That means more money in your pocket! Many people like Betterment because they handle the day-to-day portfolio tasks. They make sure your portfolio doesn’t get too risky or risk-averse. Most people don’t rebalance their portfolio at least once a year. If your portfolio is unbalanced, you might not reach your goals. With each contribution, Betterment handles this task for you. First, they invest in the assets that are below their target levels. When necessary, Betterment sells to rebalance. Can you force yourself to invest? With the Acorns app, you invest your spare change. Every time you make a purchase, Acorns rounds it up to the next dollar. You spend $1.50 on a Coke and Acorns invests $0.50. Therefore, the more you shop, the more you invest! Since this is a micro-investing app, you still need to invest outside Acorns. But, you can also build a small fortune investing with Acorns. 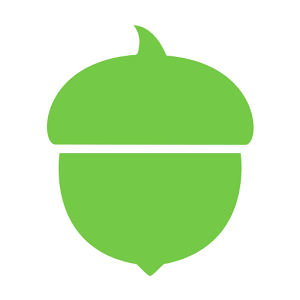 We also have a full review of Acorns here here. These impact investing themes let you invest in companies with a shared vision. You might prefer these portfolios as a way to diversify beyond index funds. Real estate is also a great way to diversify your portfolio. However, real estate is less “liquid”, which means your money is not as easily accessible as it is inside a stock, bond, ETF, or mutual fund. When you don’t need to touch your money for at least three years, use Fundrise. You will invest in private real estate deals and can earn a higher return. But, these investments are highly illiquid like bank CDs. If you try selling your share before the three-year mark, you pay a small penalty. Fundrise invests in a mixture of commercial and residential property. You are basically a landlord, except you have fewer headaches. You can trade any stock or ETF on M1 for free. Since I like to invest in individual stocks, this saves me on average $4.95 per trade. And, M1 Finance also lets you buy or sell partial shares. If an ETF share costs $200 and you have $100, you can buy half a share. With other brokers, you must buy a whole share for $200. So, your two options are saving another $100. Or, you invest in something less than $100. Neither option is good because you can’t invest in what you think is best. Besides making your own investing pie, M1 has premade portfolios too. Unlike Betterment, you have manual control over your investing options. You can automate part of the process and still invest in the stocks you like. Another great option is to invest through a full-service online broker like Ally Invest. Online brokers are great for both beginner and advanced investors. They also provide more research tools and reports that free brokers don’t offer. Although you do have to pay to trade stocks, you can also trade many ETFs for free. And, you can also invest in index funds and target date funds as well. Picking the right online broker and investments are both important. However, these tips can help you become a great investor. The most important thing you can do is diversify your portfolio. This goes beyond owning stocks and bonds. You also should invest in multiple index funds or sectors. Nobody can precisely predict how the markets will perform. Putting all your money in one stock or sector is reckless. All of these sectors have different earning potential. This way, your portfolio has exposure to every market sector. Every sector has positive and negative cycles. When you diversify, you minimize downside risk. And, you can still earn positive returns from the broad market. By nature, investing $1,000 in one stock is more volatile than one index fund. This is because funds invest in thousands of companies. You should own stock shares of solid-growth companies. Stocks provide more upside potential than ETFs and mutual funds. But, you need to limit your downside risk too. Make sure a stock is never larger than 5% of your total portfolio size. If your portfolio is $10,000, no single stock position is greater than $500. If the share price goes to $0, you only lose $500. Because of this rule, you might wait to buy single stocks once your portfolio is at least $10,000 in size. Invest your first $10,000 in index funds and sector ETFs. At this point, you can diversify into stocks with new money. It doesn’t matter what you invest in, you must understand what you buy. If not, you can become poor quickly. At the end of the day, you’re responsible for what investments you pick. You may only spend a few minutes researching index fund. But you can spend an evening researching a stock. With any ETF or mutual fund, always read the prospectus. And, read the annual fund reports too. There’s a fine line between investing and speculating. Investing is holding quality stocks and funds. This is the secret to being a successful investor. When you speculate, you hope you pick a lucky stock. Sadly, most people are wrong more than they’re right. Plan on holding investments for at least one year. This way, you pay lower taxes when you sell. I plan on holding stocks for at least three years. This holding period gives stocks enough time to appreciate in value. And, it encourages you to avoid the latest trend. The hardest part for most investors is investing their first dollar. None of us know when a market will peak. Nor do we know when markets or stocks will bottom. Your best course is to invest today in quality businesses. I make an investment the same day each month. It doesn’t matter if it’s a good or bad day for the markets, I buy stock. Investing is one of the best ways to build wealth. But, you need a multi-year investing horizon. This is because share prices can drop without notice. It can take several years for some shares to return to your buy price. At this point, you can sell for a profit if share prices climb. When you decide to work longer, you have to hope you are healthy enough still. Any good investor tells you to ignore your emotions. This is one reason to consider investing on Betterment. By automating the investing process, you must ignore emotions. Some of the headlines make you want to invest more cash. Others might scare you away from investing. There are risks and rewards every trading day. You need to ignore the noise and focus on the facts. Will any of today’s headlines be relevant in three years? Some might, but most only affect stocks for a few days or weeks. In most cases, one event isn’t going to impact a stock for long. This is why you need to invest in long-term assets only. It’s the best way to mute the noise. Most financial experts recommend you invest at least 10% of your income. Even if you can’t invest that much, don’t wait until you can. Then, you will need to invest even more make up for lost time. The 10% rule is a good suggestion if you’re in your 20s still. But if you’re older than 30, you need to invest more to retire on time. So, how much do you need to invest each month to retire? Do yourself a favor, use a retirement calculator to find out. Like anything in life, you must be consistent to have good results. With investing, you need to invest new money each month. Time is your greatest asset. Just ask Warren Buffett, the king of buy and hold investing. The best time to invest is today! Waiting until tomorrow means you might never invest. When you’re young, invest hold more stocks than bonds. Stocks are more risky, but they have more profit potential. Some of my best investments are the stocks and index funds. I’ve held many of these since the Great Recession. Yes, prices drop in bear markets but they usually rebound later. Investing is a time-proven way to build wealth. The best way to learn is by doing. Index funds might be the best way to start investing for beginners. As you gain experience, you can trade stocks and ETFs with more potential upside. 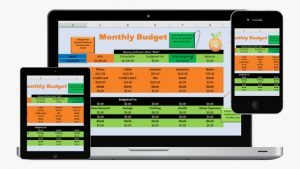 Want to start very small? Then try Acorns. Ready to start as simple as possible? Then you want Betterment. Did you like the idea of social-conscious investing? 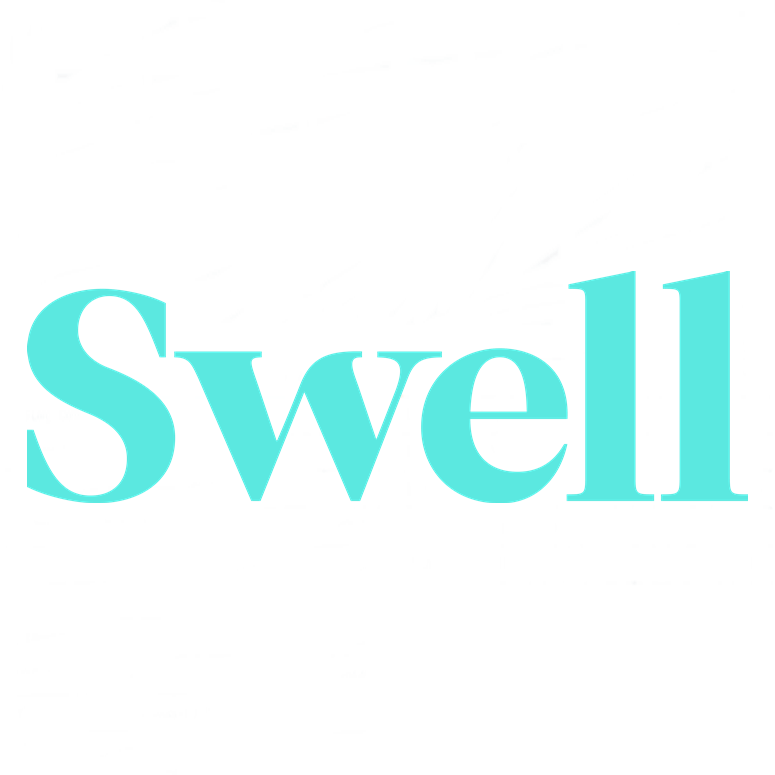 Then check out Swell. Or do you want a little more control of your investing? Head on over to M1 Finance. Already have a 401k that needs a checkup? Start with Blooom. 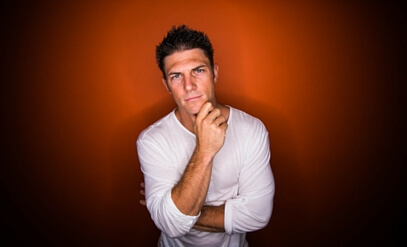 Or do you want to look at Real Estate as an option? Then try Fundrise. Technically shareholders do own the company or at least they can vote on decisions. Shareholders can vote about who runs the company and can vote down anything CEO has decided. Usually, those owning over 50% of the shares can decide everything in the company. They can even vote CEO out of the company. And, no, CEO does not own the company, usually he is just a paid employee. Jeff Bezos owns a lot shares of Amazon (same shares as anyone else), which is why he is also the owner and CEO. But even he doesn’t own majority, so even he has to ask from other big shareholders when he decides something drastic. Different shares have different number of votes but pretty much every stockowner have vote on decisions. If you have stock, you can vote. When big company buys smaller company, they try to buy all (or most) the shares of the other company. Shareholders decide whether company is sold or not. If shareholders say no, then company is not sold. And even in very small companies there are shareholders. You can have Company with only 2 shareholders who are also the owners of the company.